Looking for energy at your next event? Enlisting Susie to emcee your upcoming event deliver her hilarious “Get off the Bench” keynote address, will have participants talking about your event quite some time. Her ability to crack a joke, relate a quick anecdote and infuse her sports anchor/wife/mom life into a live microphone will keep your event goers giggling and engaged. Susie has vast experience with banquets, galas, races and more. She will keep your event hopping! Having spent time on the bench (but never sidelined) while working in a male-dominated sports world, Susie has utilized five values she is convinced helped her become an award winning sports anchor and reporter for 9News. These same values can help employees, managers and business owners find their own success. Susie’s appeal is universal. All audiences will appreciate the story lines she weaves into her strategies for success and happiness. These include personal stories ranging from a general manager telling her she didn’t have what it took to be a disc jockey, to humorous experiences with pro athletes in the locker room (yes they wear towels). Honorarium varies based on duties (emcee or keynote), time of day and travel. Susie is well versed in live auctions and is happy to run and/or assist with that portion of your event. References available upon request. Susie – I really enjoyed your talk today! If all of your talks are that full of humor and insight, you must be constantly requested to speak. I love watching you in the mornings before I head out to school and thanks again for speaking today, you do ROCK! Susie – I cannot thank you enough for your amazing presentation! And you were so gracious about my mix-up! People have been coming up to me non-stop talking about how relatable your stories were and how down to earth you were! I so appreciated your humor and positive outlook on all you’ve experienced; your message was very apropos for our Women’s Professional Group. Susie – Thank you for speaking at Valor this morning. Your testimony is professional, it’s great advice and entertaining. It was fun to hear you speak of the relationships that you’ve built and the lessons you’ve learned particularly around being intentional about harmonizing work and family. Hi Susie – You were an amazing addition to the event and we love having you as the event emcee. You add so much to the production and we appreciate all you do. It’s so nice to have an emcee who can go off script and make the event more fun and lively! It’s just what we want…. I will follow up with you this fall to see if you are available to emcee again. Susie – Our deepest appreciation for speaking to the members and guests of the Colorado Motor Carriers Association at the Bosses Day. You were awesome and our group so enjoyed what you had to say as well as your good humor. You were wonderful to be so patient in answering the many questions they had. Everyone went away with a smile on their face and nothing but accolade for a very enjoyable time. Susie – I wanted to tell you how much I enjoyed hearing you speak at the AGC luncheon on Tuesday. 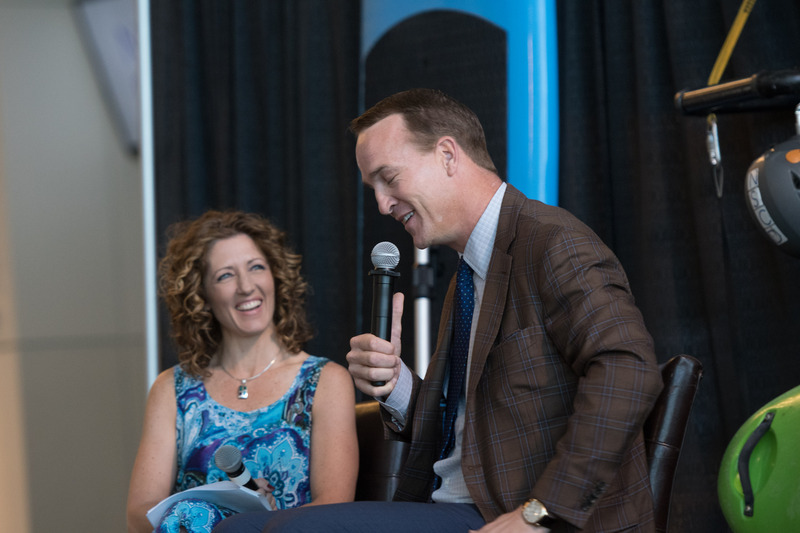 It was great to see a woman speak so candidly and enthusiastically about the sports scene in Colorado. Your stories were great. Keep up the fabulous job and I wish you the best! Thank you for making UNC’s 4th Annual Women’s Walk the most successful yet! I must admit, I was a little frantic the morning of the event as I did not feel I prepared you enough. After reviewing the script with you for about one minute, however, you got up there and seemed like you had been our Women’s Walk emcee for 100 years! I have received nothing but positive comments from our student-athletes, coaches, staff and participants about your involvement and I hope we can talk you into coming back next year! Susie – I want to tell you how very happy we all were with your being at our convention and with your presentation. I have scanned the evaluations and I can say you were given extremely high marks. It was a great personal presentation with outstanding stories that we could all relate to. Susie – I had the privilege of seeing you speak at the 2013 Rocky Mountain Health & Safety Conference in Westminster on May 20th. I enjoyed your anecdotes and was personally moved by the determination you have shown to get what you truly want from your career. You made excellent points in building relationships with those around you to accomplish the work we are all put here to do. Susie – Thank you SO much for emceeing our 20th Anniversary Gala! People cannot quit raving about how incredible you were – and we totally agree! Susie – Many thanks for being a part of our Party for Parks celebration – you brought great energy to the night! Dear Susie – I am writing to express my appreciation for participating in Rocky Mountain Human Services’ Twentieth Anniversary Gala last Friday at the Ritz-Carlton. You are not only a very talented Sports Anchor/Reporter, you are a marvelous Master of Ceremonies. Your engaging personality and sense of humor was so well received by our supporters and guests. In fact, the additional contributions for the Military Traumatic Brain Injury Program and the Children’s Early Intervention Program that was received at the end of the evening was a direct result of your down to earth message to the more than 450 attendees. You set the tone for the evening and the gala was a success. Susie – You are one of the best speakers we’ve ever had. You combine laugh out loud stories on reporting sports in Denver with practical business savvy. You are an absolute delight to work with and we will continue to recommend you!